Small Photo Keepsake Wax Lantern Candle - Photo Candles make beautiful keepsake gifts for your parents, bridesmaids, groomsmen, and your entire wedding party! 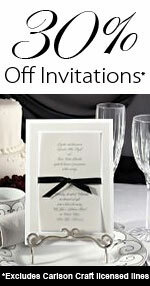 Let them know how much you appreciate them being there for you on your wedding day! Photo Candles also make wonderful gifts to proudly display a picture of a New Baby, Anniversary, Birthday, Quinceanera, Sweet 16, Graduation or for any special event! Keepsake Wax Lantern Candles are hollowed out candles that include a miniature 6 hour votive that is placed in the middle of the lantern! Since the votive is replaced, the lantern remains intact and gives a warm glow that can be enjoyed for many years to come. Personalized Photo Keepsake Wax Lantern Candle Size: 4 x 6 x 4 inches.